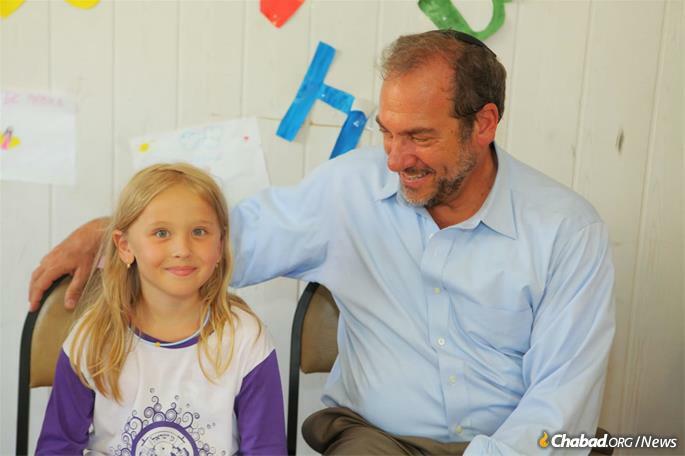 Rabbi Yechiel Eckstein, who passed away on Feb. 6 at the age of 67, visits Camp Gan Israel Moscow. Rabbi Dovid Mondshine, director of the Ohr Avner Foundation, looks on. 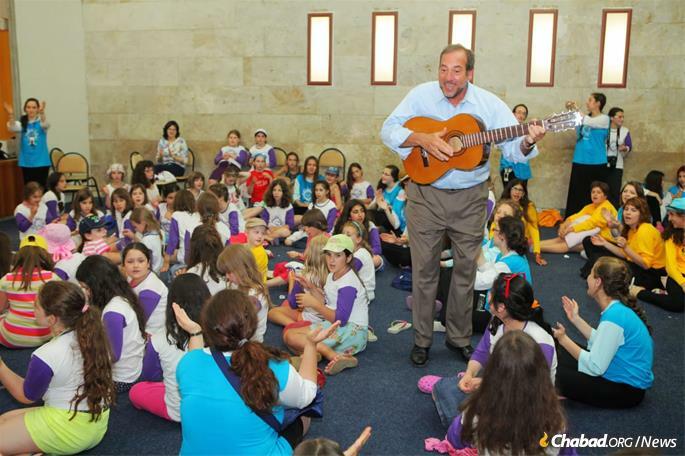 To the myriads of people who worked with him, Rabbi Yechiel Eckstein was a man full of life and vitality, always looking for his next project. Eckstein, the president of the International Fellowship of Christians and Jews (IFCJ), an organization he founded in 1983 that has grown to become a major supporter of Jewish causes in Israel, the former Soviet Union and around the world, passed away suddenly on Wednesday morning at his home in Jerusalem. He was 67 years old. Eckstein was raised in Canada and studied at Yeshiva University, where he received his rabbinic ordination and completed his bachelor’s, master’s and doctoral degrees. He later served as a lecturer at Columbia University and was a member of the executive board of the American Jewish Joint Distribution Committee (JDC). His major lifework began in 1983, when he founded the Fellowship. In the years since, he raised more than $1.5 billion, mostly from non-Jews, for programs helping Jews in more than 50 countries, leaving an indelible mark on the worldwide Jewish community. 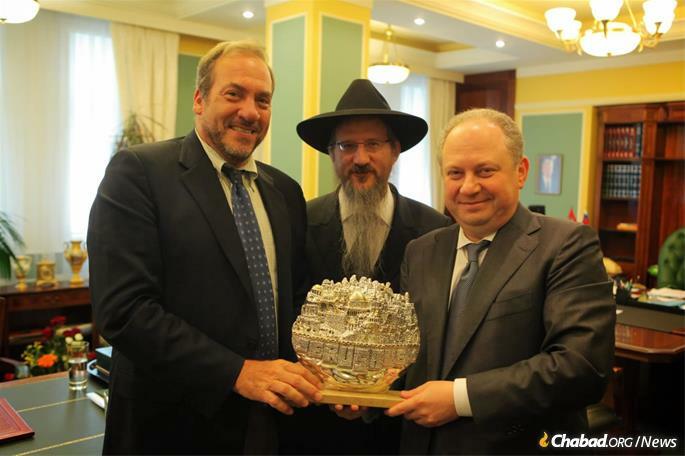 Chief among Eckstein’s partners in the former Soviet Union was the Federation of Jewish Communities of the CIS, the umbrella organization for Jewish communities in the former Communist bloc. Working with Chabad emissaries on the ground, the Fellowship was able to provide direct assistance to tens of thousands of Jews, from refugees of the war in Ukraine to impoverished families and orphans in Belarus to the elderly and infirm in Moscow. While Eckstein directed aid to the Jewish communities in the FSU, he was also keen to see the situation on the ground himself, being among the first to respond during a crisis or times of need. Lazar notes the personal connection Eckstein had with people he encountered, how he could mesmerize crowds young and old because he exuded a feeling of caring and concern. He was exuberant and always traveled with his guitar, with which he performed at a moment’s notice. Eckstein traveled with a guitar, frequently entertaining wherever he went. Eckstein was also a strong supporter of security against anti-Semitic and terrorist threats. 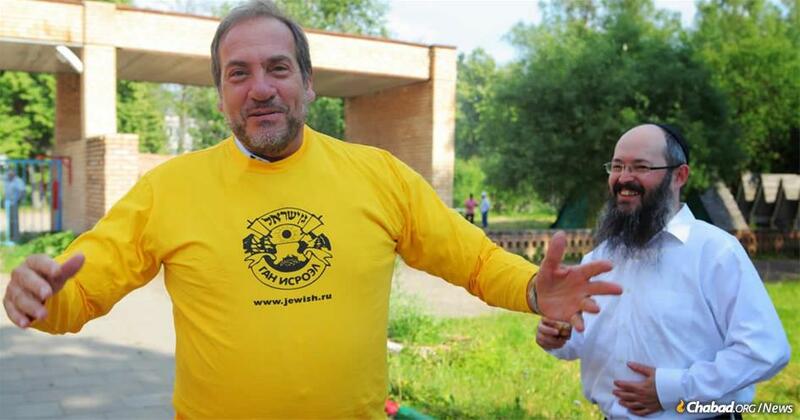 When, for example, threatening messages were painted on the fence of the Chabad synagogue and community center in Uzhgorod, Ukraine, it was Eckstein’s Fellowship that immediately allocated funds for an upgrade in security. That grant was a part of millions of dollars that the Fellowship allocated for security for Jewish centers, including those in France, since the 2008 terror attack on the Chabad House in Mumbai, India. Beyond caring for the material well-being of the Jewish people the Fellowship’s funds supported, Eckstein worked to bring Jewish people closer to their heritage as well. The Gan Israel summer camp network in the FSU was one of his pet projects, having a material and spiritual impact on thousands of Jewish young people every year. The Fellowship also supports numerous other educational projects, including schools, orphanages and medical centers. In recent years, Eckstein, whose organization has offices in Chicago and Jerusalem, was joined in his work by his daughter Yael Eckstein, who serves as global executive vice president. Eckstein, says Duchman, always made it a point when he was in New York City to stop at the Ohel, the Rebbe’s resting place in Queens. The exuberant Eckstein was known for connecting with people of all ages. But Eckstein’s help extended beyond the communal and to the personal as well. Duchman recalls how a few years ago Eckstein heard that a group of shluchot, women Chabad emissaries, were unable to attend the annual gathering in New York. He instantly sponsored tickets for the women who had never been there. Lazar echoes Duchman’s sentiment: “He helped tens of thousands of people, probably much more, that’s true, but aside from the sheer numbers, there was that one-on-one relationship he had with people. He always had people, individuals, in mind. Eckstein is survived by his wife, Joelle; three daughters; and many grandchildren. 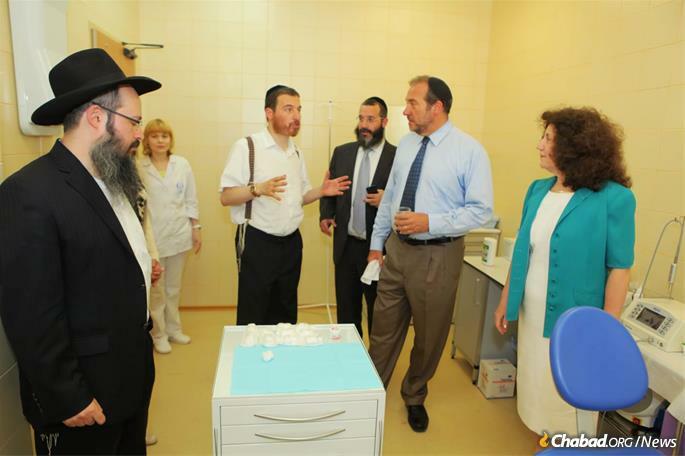 Eckstein receives a tour of the Shaarei Tzedek Social Services Center in Moscow. 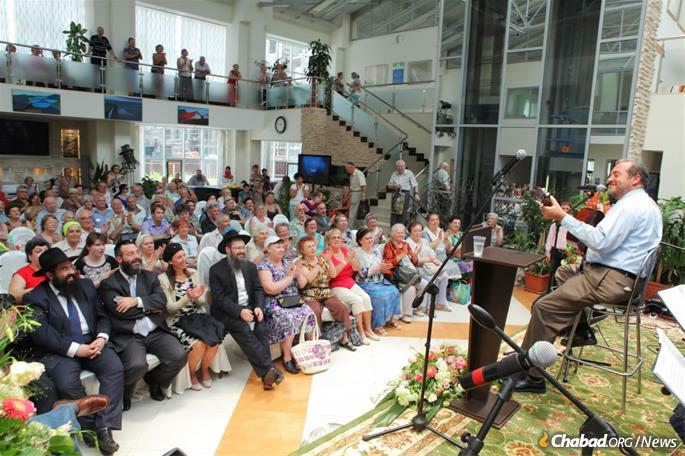 Performing for the elderly at the Shaarei Tzedek Social Services Center in Moscow. Judaism, Israel, & the world has lost a kind heart.